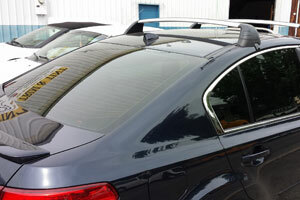 Our shop in Salem, OR uses the best window tinting products! Why squint when you can tint! At Trim & Tint, we are a Certified Installer of 3M ClearBra paint protection products. Whatever your window tinting or paint protection needs, look no further, get in touch with us today! Trim & Tint have been serving Salem Oregon and the Willamette Valley area since 1985! At Trim & Tint we offer expert window tinting for all types of vehicles. When we are finished with your vehicle, you will have great looking tinted windows that look like they originally came that way. Trim & Tint installs LLumar™ window film products, which is the largest manufacturer in the world. Their best product is called LLUMAStar™ and our skilled window tinting specialists are pros when it comes to installing it onto your vehicle's windows. LLUMAStar carries a lifetime warranty with a no fade clause. Additionally, this tint will not turn purple. Our window tinting company also installs security film by request. Trim & Tint is a Certified Installer of 3M ClearBra paint protection products. Let our experts help protect your vehicle from road debris, rock chips, gravel, and vandalism to your hood, fenders, mirrors, bumper, or headlights. “Got my car windows tinted by Ken about a month ago. Overall good experience and would recommend. I called him up one day after deciding to get my windows tinted in my Audi TT. I brought the car by and we looked at it and talked about pricing and what percent tint level would look good. After looking at the car he told me that normally he'd charge $225 for the job but that he'd do it for $195 (presumably cause of some smaller windows in the front). I agreed to call him in the future and we could set up a time to get it done. About a week and a half later I call him up and we set up a time (I believe our appointment was only a couple days after I made the call). When the day comes I bring the car in and get it parked and he immediately tells me that the job would cost the $225 instead of the $195 that he told me originally. This threw me a little but there wasn't much I could do except walk out, so I agreed. The job took about half an hour longer than what I was told it would. But this didn't bother me much as I would happily wait longer than have a rushed job done. He told me it took longer than expected to do the rear window as he had to take plastic trim pieces off and dissemble part of the rear taillight. He put the trim back together and sent me on my way. After a few days I noticed an annoying rattle that bugged me enough to finally track down. Despite the name of the place he didn't put the trim back together correctly (it wasn't snapped together in some places and was overlapping incorrectly). This only took me about 5min to fix but shows a lack of detail unfortunately. Yet with these things I can not fault the tint. The tint looked exceptional. The very large and difficult to do back window looked great and any bubbles that may have been visible the day the job was done completely disappeared after a week. There was however one impurity in the driver side window that stuck out after a week (It looked like some dirt stuck in between the glass and the tint). I brought the car in once again and he quickly agreed to fix that window no charge. This was expected (he warranties his work and the tint) but never the less refreshing to see him quickly accept the fault (I was told it was faulty tint) and move on without any sort of argument. I brought it in and he replaced that window and sent me on my way. In summary I think Ken does excellent work with his 20+ years of experience and is very good at doing tricky cars (a lot of curved glass). His attention to detail can at times be slightly lacking but in the end I am very happy with the way the car looks and I believe the claims that the tint he uses is the best. I have had the tint for about a month now and plan on updating this review if the tint deteriorates. “Ken and his staff at Tint and Trim are AWESOME. I have a little VW New Beetle and wanted to spiff it up with some tint. Calling a detailer who did tint I was given a nice price quote. Calling back to make the appointment, however, they jacked the quote by more than *double*, stating that the Beetles were just tough as no surface in them are flat, but rather curved and that makes tinting hard. I get that... but more than double?? So I hit the web and searched, and found some great reviews for Ken and his staff at Trim and Tint. I called him up and explained my dilemma, and he noted it was indeed a harder vehicle, but he'd have no trouble doing it. His base quote was right in line with what others had given. He told me there was a small increase in charge for time (about 10%) but that was it. When I arrived, he showed me the options in tint level, talked honestly about what wouldn't / might / would draw the wrong kind of attention from those who write tickets, and helped me make a choice. They called me mid morning the following day to say it was done! The tint is PERFECT. And I mean perfect. He told me in advance that he'd have to split the back window into two pieces, and he'd try to hide the line around a defroster bar. Indeed he did on both counts. I love the way the car looks, and it makes a HUGE difference in how it feels -- and I could really tell as it was the week we had 100 degree temps!! 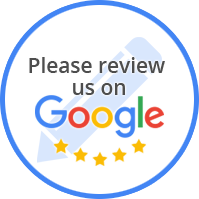 “Great job and friendly staff. Ken was fantastic talking me through the different possibilities and options. We agreed to which one we wanted and then the kindly drove me to my next appointment. Very nice. The only reason for not five-star is that there's an extra surcharge of $5 when using a credit card (even though the work is over $200). I understand credit card companies charge the merchant and some merchants want to recover their cost but CC's are kind if part of normal business now.